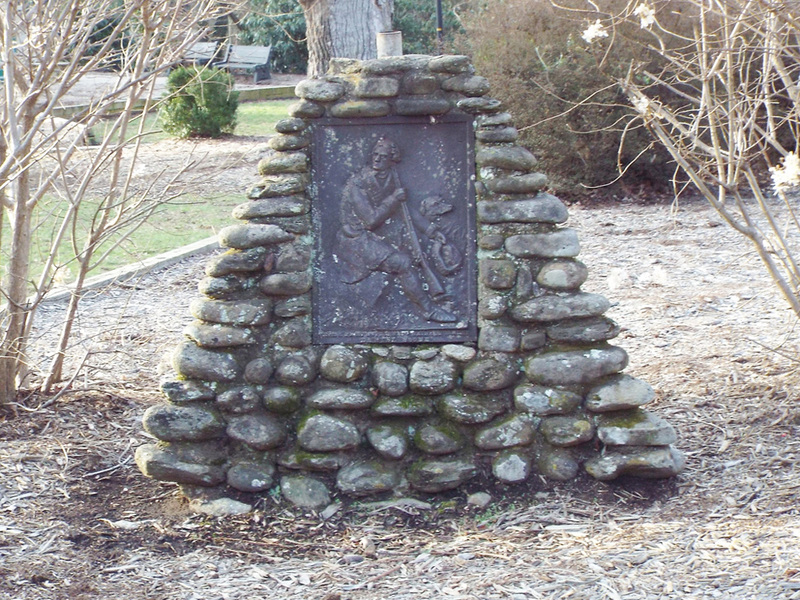 The Boone Trail Highway maker is rock and masonry pyramid about three feet tall with a Style-1 Boone tablet attached. The steel Style-1 tablet was primarily used from 1917 through 1921 and is typically distinguished by the lack of any Boone Trail Highway caption. It contains an image in relief taken from Alonzo Chapel’s 1861 illustration of Daniel Boone and his hunting dog. The rock pyramid originally served as the base for a flag pole since removed. The tablet for this marker was certainly manufactured some years prior to the dedication in 1930. What is known is that J. Hampton Rich founder of the Boone Trail Highway and Memorial Association often presented them to communities prior to any plans being in place to erect a memorial. Presenting the tablet was part of Rich’s marketing the highway association and news stories from the time tell of them being displayed in store windows and other public places until such time funds were raised to build the memorial. It appears certain that some of these tablets were never incorporated into a memorial. The date for this marker’s dedication comes from a news article about a Buffalo Trail marker dedication in the nearby community of Black Mountain on the same day. The Buffalo Trail markers first appeared about 1930. Perhaps efforts that led to placing of the Buffalo Trail marker kindled interest that led to the Boone Trail maker also being completed. This Boone Highway marker was numbered 38 by Everett G. Marshall. 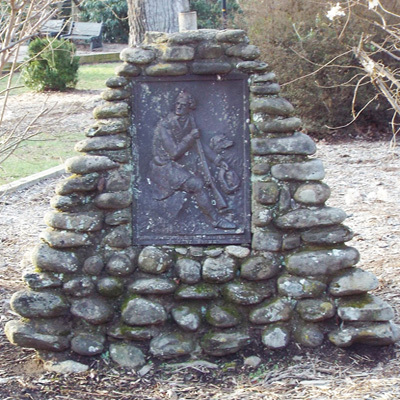 His interest and research of the markers led to the book, Rich Man: Daniel Boone. The numbering system was simply the order in which he found or became aware of a marker. 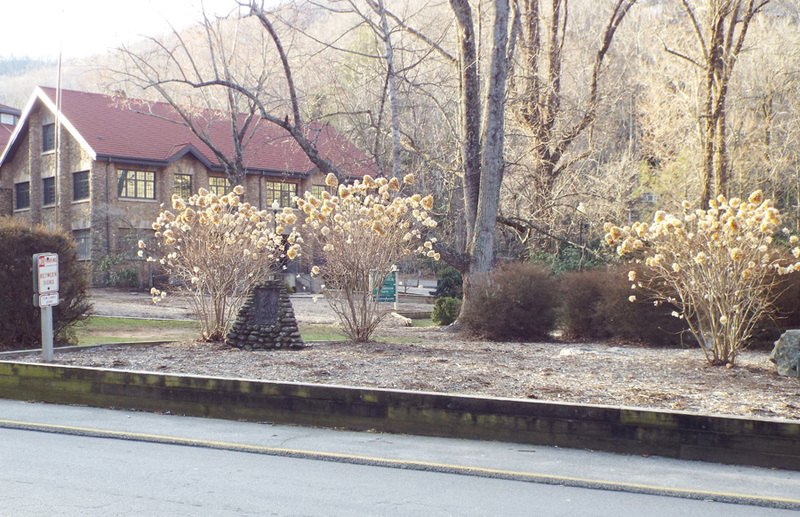 The marker is located next to the parking lot of Anderson Auditorium across Lookout Road from the Nature Center on the grounds of the Montreat Conference Center, Montreat, NC. A marker for Dr. Robert C. Anderson is a few feet away. Deciduous and evergreen bushes are planted around memorial markers.